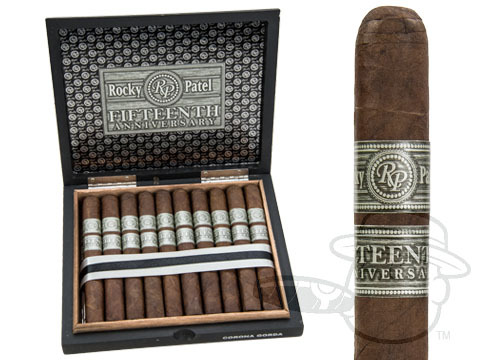 Rocky Patel 15th Anniversary cigars are in stock and ready to ship! 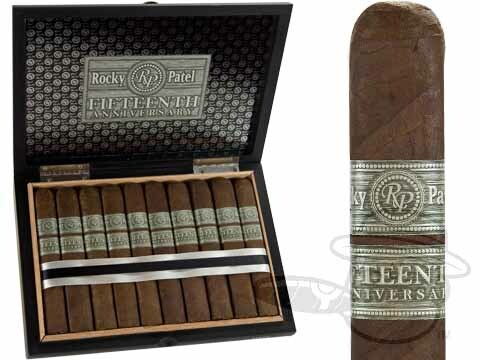 Celebrating Rocky Patel's 15 years as one of the cigar industry's most prolific figures, the Rocky Patel 15th Anniversary brand is a worthy tribute. 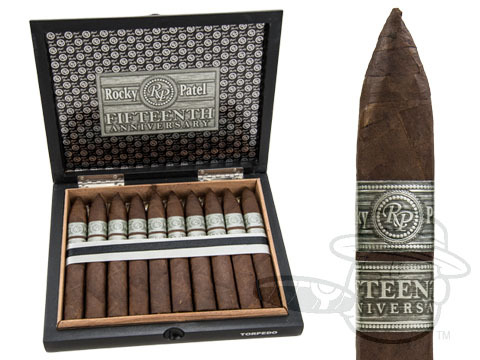 Triple capped and double bound, these are sturdy and strong cigars. The stogies sport an Ecuadorian Habano wrapper and filler from one particular farm in Esteli, Nicaragua. 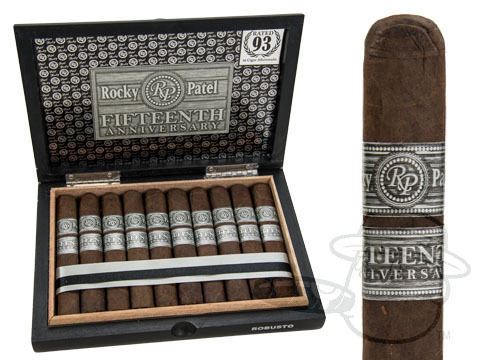 Rocky Patel himself said that it's one of the "richest, spiciest tobaccos" he's ever had, and that the farm is solely dedicated to that one type of tobacco. 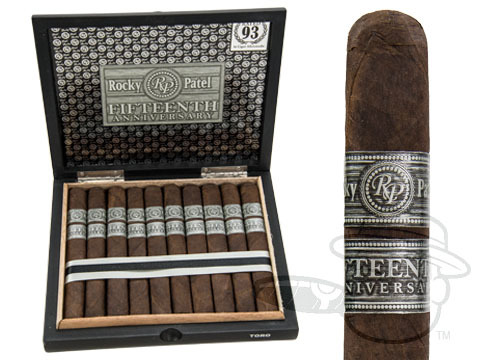 Be ready for a full-bodied smoke with notes of leather, spice, dark chocolate, wood, and pepper.